Damien Sandras, was one of the key organizers/founders of Fosdem, and is well known for his project Ekiga which started as the GnomeMeeting. What is Ekiga? Can you briefly tell us what are the main features? Later, when it was renamed, Ekiga evolved into a SIP client. SIP is now the leading VoIP and IP Telephony protocol. All of this with the most powerful codecs available today: G.722 for Wideband audio (also named HD Voice) and H.264 for video. When combined with such an IPBX, Ekiga can display pickup notifications for calls intended to your colleagues, presence information and allows audio and video calls. It can be compared with software like what CounterPath is producing. But of course, Ekiga is a free alternative (as in Free Beer). To summarize, most probably IM and simple video-chatting is only one very limited subset of what Ekiga can offer. I believe you started the project late 90s/early 2000. How did it all start? Back in 2000, I was still student in Belgium at the “Université Catholique de Louvain”, studying to become a computing science engineer (polytechnics). As all students, we had a project to achieve in order to graduate. 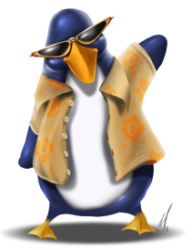 As I was already passionated by Linux, I wanted to contribute something back to the community. I started identifying missing tools in the Unix environments together with Marc Lobelle. Marc was the professor responsible to coach me in my work and to judge it. We had the idea of creating a Netmeeting clone and this is how GnomeMeeting was born. For over a decade, I have worked on it in my spare time.. In July 2001, you had a record number of visitors on the site – 11000 in one week. How did that translate into number of users at the time? And what is the market share of Ekiga now ? Unfortunately, I have no idea about this. Ekiga was the default VoIP client in many Linux distributions. A percentage of them are using it together with the Ekiga.net platform which provides free SIP addresses, but most users are using it with PBX systems or videoconferencing hardware I think. However, pure IP Telephony softphones like Ekiga are probably still a niche market, especially on Linux. And I guess that people who want simple videochatting have many Windows compatible alternatives available now like Gmail and friends. We have no firm idea whether Ekiga is used as yet another videochatting software, or as a VoIP solution either for cheap calls or together with an IPBX. You changed the name from GnomeMeeting to Ekiga – any particular reasons? In 2006, I had spent much spare time working on SIP support for GnomeMeeting. 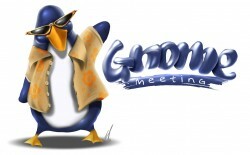 However, most users were still thinking that GnomeMeeting was GNOME software and a replacement for Netmeeting. In 2006, on Windows platforms, Netmeeting was dead. We then decided to change the name for something which was not referring to Netmeeting, or GNOME, or chatting, or telephony, or video because it would limit the software to only one use (and there are so many possible uses…). While browsing the web for a new name, I found out that the Ekiga was an old African technique to communicate from village to village without tam-tams. The technique consists in reproducing notes, without words, emitting the syllable “ke” in a falsetto voice, and repeating it with the corresponding tones. In one of your old posts you said that “The main problem [with Skype] is not that the program is not Open Source, the problem is that Skype is locking users into a proprietary protocol.” Seven years later, Skype is under the Microsoft umbrella – how do you see its future? I think that standards always win the battle. It is just a matter of time! The main (dis)advantage of Skype is that it easily goes through firewalls and NAT gateways, unlike standard protocols like SIP.many firewalls aren’t SIP aware, which might be it’s own advantage. On the other hand, Microsoft is investing lots of efforts in Microsoft Lync, its Unified Communications software, which is based on SIP. With Microsoft adopting Jabber just like facebook did, I would not be surprised to see Skype being converted into a SIP client. What are the other similar projects? SIP communicator (renamed into jitsi) and Linphone are good alternatives to Ekiga. But I think we have more features. Jitsi seems to be developed with instant messaging in mind. Linphone probably more like a softphone, but it lacks a contact list with presence support. Empathy has some SIP support, but it is also very limited. Which you should use depends on your needs. If you need instant messaging software to be able to communicate with your friends and family on Linux machines, all software mentioned in this article will do the trick. If you have to use it with your SIP compatible company PBX, then I think Ekiga is the best choice. I am thinking to corporate users using their softphone to place and receive calls instead of their phone. Or to users working remotely through a VPN and who need to be reachable by all means. Who are the users of Ekiga? As you are involved with Fosdem, give talks at Guadec, RMLL etc, it feels that Ekiga is not just an open source project but aimed at open source users? Why is Ekiga no longer the internet telephony application by default in Ubuntu? You can not place all software on the first CD of the distribution. You have to make choices. Ubuntu is a user oriented distribution, it is not targeted at companies. Empathy is in that case the most rational choice. If you see SIP as a way to place calls with audio and video, then Empathy is clearly the best tool because it offers more than only the SIP protocol and it is well integrated to the GNOME desktop. I think that one part of the problem is that not all people at Ubuntu understand the difference between chatting and professional IP Telephony/Videoconferencing. However, from my point of view, it is probably a bad choice due to some misunderstanding. Indeed, Empathy and Ekiga are two completely different software with different goals. Simply telling “we do not need Ekiga because we have Empathy” is like telling “let’s remove vim because we have LibreOffice”. On which platforms can it be used? Unix, Windows, Mac etc.? Ekiga was coded in a portable way to be usable on all platforms. That is why a Windows port exists and a Mac port did exist in the past. However, even if the Windows port is still maintained, it is not as stable as the original Linux version. The reason is that we lack manpower for other platforms. Any volunteers ? People think that Ekiga should be installed by default on Android. Have you got plans for that? I also think it would be a good idea. Smartphones and tablets are a huge market and probably the most natural evolution of the desktop. However, porting Ekiga to Android would require some work. But I’m thinking about it. The first step would be to simplify the software and make it light and streamlined, which is the plan as part of Ekiga 4.00. I think having a portable version of Ekiga would help a lot of people. Now that you make me think about it, I wonder if it is not even more important than the Windows port. And probably easier. For a few years, we have rebuilt Ekiga around the Ekiga engine, which is a portable way of doing things. The frontend is clearly separated from the user interface. I suppose that porting Ekiga to Android would simply mean writing a new frontend as well as new audio and video plugins. Anyone want to help? How often is Ekiga updated and who is in charge of the changes? We have a team of volunteers working on the software. Robert Jongbloed and Craig Southeren are doing a lot of work on the SIP support through the OPAL library. Julien Puydt is working a lot on the code, especially in the core engine part of Ekiga. 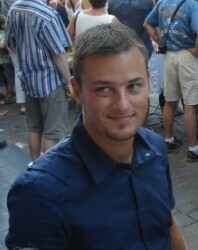 Eugen Dedu has been coordinating the releases, bug fixes, patches for a couple of years, and Yannick Defais has been working on a new Ekiga.net platform and the documentation. All volunteers contributions are welcome, invaluable, and too numerous to mention. We release the software when it is ready. However, some more fresh blood to help programming on the project is always welcome to accelerate the development. What are Ekiga’s challenges after 10 years? The biggest challenge for me is to keep working on it. A few years ago, I had more spare time. But spending time with my friends and family is often incompatible with Ekiga development. I do not think I will be able to continue coding on Ekiga as much as I did in the past. The biggest challenge is thus to keep the project moving and up to date while I personally can spend less time on it than I have done. There are lots of opportunities for others to join and help significantly. What is the future of Ekiga? I still need to discuss this with the team, but I think one of the big plans may be to make Ekiga more focussed. We should concentrate our efforts on the engine, and SIP support. If you look at the Android world for example, it makes no sense to provide an alternative to the address book, to the dialer and to such tools. We should use what is already available on those platforms and integrate with it to provide what we are the best at : audio and video through SIP. A few years ago, it was still logical to integrate with the desktop and to provide its own set of tools. However, things have changed. We see less and less people using anything else than a well-integrated desktop providing all soft of tools to manage contacts, manage e-mails, calendars, … The same applies to tablets. We should create plugins to those tools and not have our own views and alternatives to them. That is my main idea. I believe you wrote that Ekiga was free as in speech and free as in beer – so who pays the bills? I have a main job which pays the bills. That is why finding spare time for Ekiga is so difficult because I am devoting all of my time (including the spare time) to my paid job. I am managing a startup named Be IP developing IP Telephony software based on Open Source software (mainly Asterisk). Hey, in addition to ekiga, RHUB`s web conferencing servers can also be used for conducting HD VOIP audio conferencing and video conferencing. can anyone point me to a tutorial that is actually clear on how to set up Ekiga as a video replacement for Skype. Skype should have disapeared but other than the fact that it is Propietary, M$ Pwned :-( and a backdoor, malware type, spying machine, but it JUST WORKS!! I have tried to get Ekiga up and running so I can continue to communicate with my sick wife who is recieving medical treatment oversea’s because in the US she could never affort the cancer treatment she recieves for pennies on the dollar vs the US and she is a citizen. The thought that M$ spied on comm between me and my sick, insecure(about her image, ie; loss of all hair, etc), and talking about mortality and death before getting out of her 30’s is so sickening to me and upsetting to her it makes me want to renounce my citizenship. if anyone can help, or point me to some advice for mere mortals that would be fantastic. Just had a nightmare dealing with Diamond Card/Twinkle and am back to square one and unable to communicate with my own wife without selling my soul and using Skype… Instead of the tons of Opens source voip/softphones etc why doesn’t someone(I would if I could code but cant so I pay or donate to those that do.) I rather donate 200% of what I pay Skype for 1/2 the functionality and ease of use in a similar replacement. HELP *nix Gurus. Also an issue is most people don’t use FOSS OS’s and I can’t help someone on a windows machine configure or find an alternative as Windoz is way too complicated for me after dropping it a few years ago so any real replacement needs to have that seemless cross-platform, same for everyone configurations & UI(to the extent possible) that Skype did so well and M$ and the USSA Gov’t ruined. that made it easy for me to help my poor Windows friends and wife to get up and running. We need a REAL Open Source replacement and i promise the guy or gal who develops it will not need a “day job”. I would glady sign a volentary reoccuring donation => all the extras I paid for from Skype. I think *nix and FOSS for that matter has taken too many forks and partially developed so many great tools without finishing, supporting or maintaining them. I don’t know anymore. thanks USSA and NSA for ruining the internet and my ability to speak with some privacy with my potentialy dying wife. Emmbarassed to be an AmeriKan and a proud(but frustrated) FOSS user and supporter. I shall try it on my fedora , as soon as the internet connectivity is available to me on Linux .